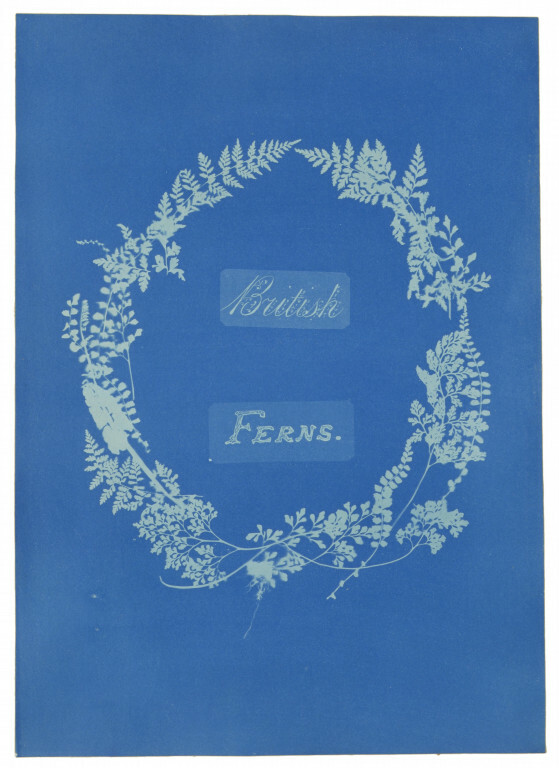 Title page from 'British and Foreign Flowering Plants and Ferns' by Anna Atkins, cyanotype, Britain, ca. 1854. Val Williams and Susan Bright, How we are: photographing Britain, from the 1840s to the present London: Tate Publishing, 2007. 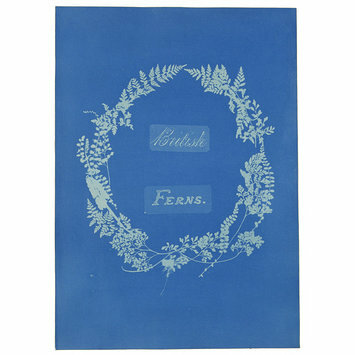 ISBN: 9781854377142.
turned to the ‘beautiful process of Cyanotype’. produced a white image on a cyan background.